My first healing drum is Rabbit. I've made it 5 years ago. Now, he stays in Institute of Hollow-Dumb in Varsaw, Poland. His vibration are so strong that I played on him for deaf children, who had and still have lot of pleasure because of it. For two years I have music therapy session for children with cerebral palasy. I felt that children connect with the drum, though it is not easy to get connection with cerebral palasy children. From that time I become full conscious that shamanic drums are much more then instruments. 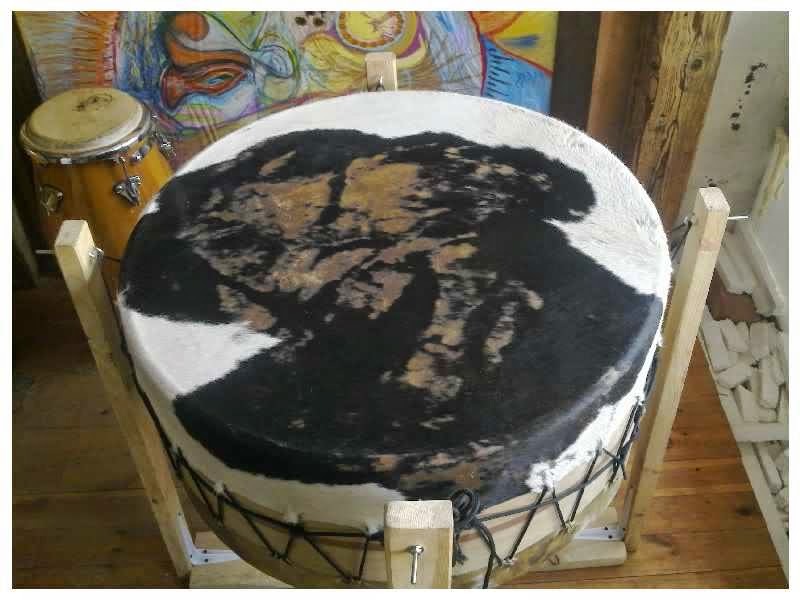 Two years ago I made my second healing drum. Her name is Marija. I play on the Drum for people who need a cure, an inspiration or just a relaxation. Visit the Drum on facebook. You can also find there sample of sound of Marija.